We know about the dangers of excessive alcohol. But drinking soda also can have serious consequences. If you’re drinking “regular” soda, the sugar or high fructose corn syrup used in the soda will cause an insulin spike that will cause you to gain weight. Long-term, both sugar and high-fructose corn syrup have been linked to the development of metabolic syndrome, insulin resistance and ultimately, diabetes. If that’s not reason enough to cut back on soda-drinking…consider this. Beyond the sugars, sodas contain phosphoric acid, which is known to promote osteoporosis or bone loss by leaching calcium from bones. Soda also has benzoate or benzoic acid. When left in a hot environment, this chemical is converted into benzene, a known carcinogen or cancer-causing agent. OK, you think, I’ll switch to diet soda. Sorry but that is an equally poor choice. Artificial sweeteners also make you release insulin, resulting in the same heightened risk of metabolic syndrome, insulin resistance and diabetes that regular soda does. Not only that, a San Antonio, Texas, longitudinal study on aging suggested that people who drank two or more diet sodas a day were six times more likely to have an increase in their waist size than those who did not drink diet soda. 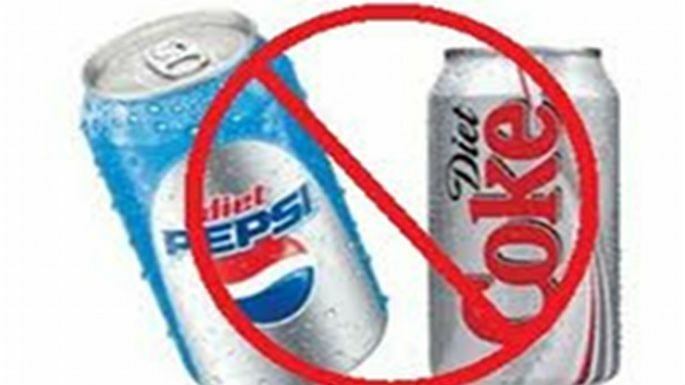 That makes drinking diet soda a truly self-defeating behavior. And, if weight gain alone is not a problem, artificial sweeteners may be linked to Alzheimer’s and cancer. My prescription for better health – drink water. How much? Some guidelines recommend the 8 x8 rule, meaning eight (8 ounce) glasses but let the color of your urine be your guide. Cheers!